The finest red spinel colours are pure red to slightly purplish red hues of medium to medium-dark tone. Like ruby, the colour of red spinel is due to traces of chromium. 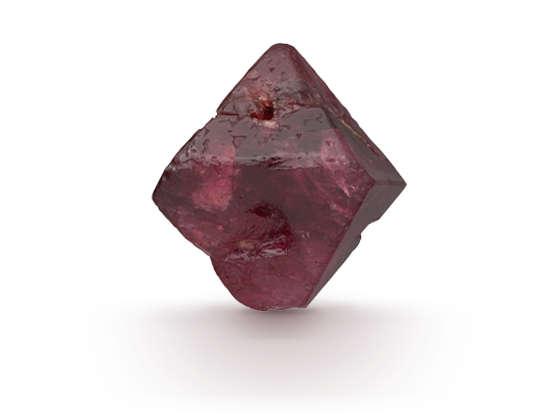 Like ruby, spinel is found in alluvial deposits; it ranks 8 on the Mohs scale and has good toughness, making it a durable gem for jewellery. Until recently, spinel was an underappreciated gem with little consumer recognition. 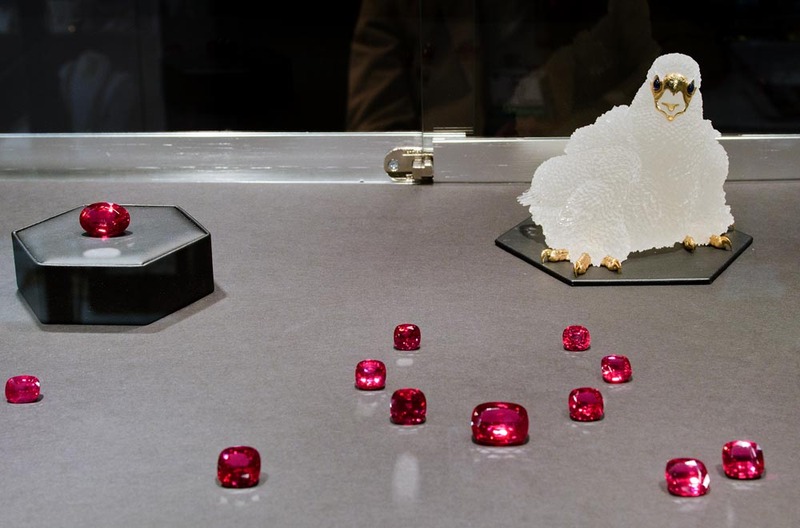 Increasing demand for ruby alternatives rekindled appreciation for spinel’s rich red colour and history. 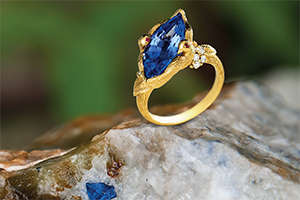 In ancient times, southeast Asia’s mines yielded exceptional large spinel crystals, which became the treasured property of kings and emperors, often passing through many hands as spoils of war. Spinel was recently added as an August birthstone, sharing this month with peridot and sardonyx. 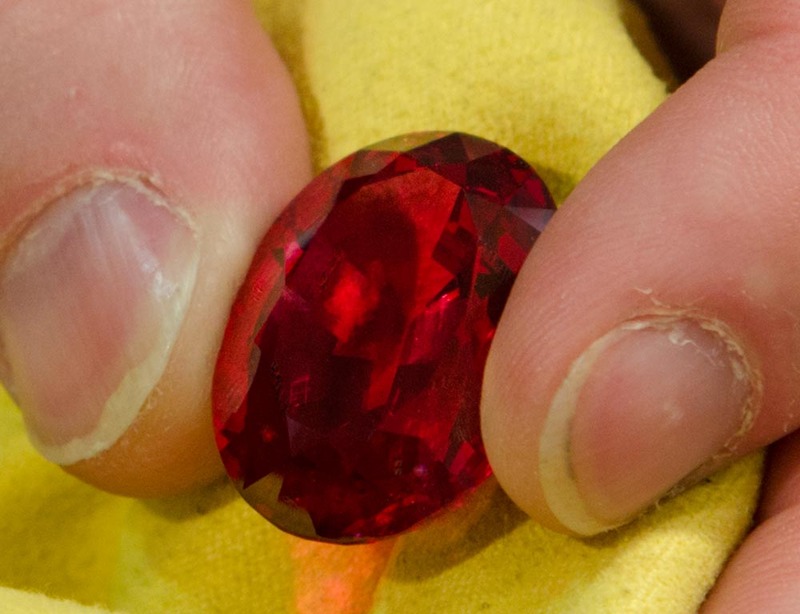 It has long been mistaken for ruby by emperors and monarchs. Many of the famous “rubies” of history were actually spinels. 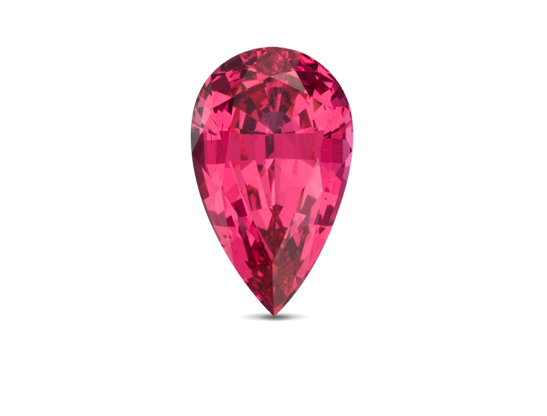 Singly refractive and often very transparent, red spinel rivals ruby’s colour but it costs much less. Red spinel is coloured by chromium, the same trace element that colours ruby and emerald. An assessment of the following characteristics determines spinel’s value. 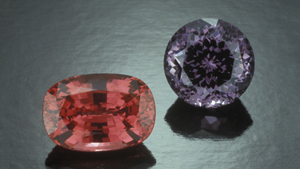 Fine-colour spinel is rare above five carats. Most fine-quality rough is cut to non-standard sizes to save weight.